It's sad to find a book that I know would have really enjoyed, hadn't the reading experience been ruined by the prose. 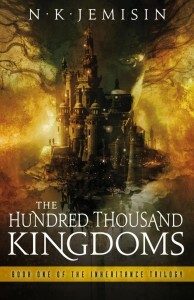 The novel itself is a solid fantasy story, and hits quite a few tropes and arguments that I enjoy. I expected to have fun with it, but sadly I found the writing too confusing to follow without having to stop and re-read a few pages back - and not just a few times, but constantly. I also slowed down my reading pace, thinking that would have helped, but even that didn't make much of a difference. The paragraphs felt more and more convoluted as I went on, and even after just finishing the book there are a few parts I just can't remember well, though that might be because of how long it took me to get through it. Which is a pity, because the author can write some very evoking passages, and the story itself is very good. This is definitely the most underwhelming book I've read this year, so much I was on the verge of dropping it a few times, and it's a shame. What got my attention and made me curious to go and read through it is the fact that the main character is a bisexual man leaning towards other men and mostly in a relationship with another man, and that aspect is very well portrayed. In general, it's refreshing to see a cast of characters of so different identities and orientations, and it's definitely interesting to see that aspect through the lens of someone writing in 1979 (technically, 1984, since this is the revised version, but still). Sadly, I can't really say I enjoyed much else. The dialogue felt too much like it was banter ripped off a tv show, and while I love me some corny fantasy shows it's way too distracting. If the author was trying to be tongue in cheek, it didn't really work (or at least it doesn't feel like it) and because of this, even the attempts at worldbuilding by using quotations from works that exist in the fiction world felt a bit too artificial. I found the prose dull, to the point that, despite having descriptions of some pretty seemingly epic sights of events, I struggle to remember any of them just after a day after having finished the book. And because of these things the plot, which in itself is pretty basic and predictable and is basically an excuse for a character study, turns out extremely uninteresting, which made for an extremely slow book to get through - especially because the focus isn't on the more interesting characters, like Sunspark or Segnbora. And yet, while the attempts at creating a world with its own identity don't always work out, there are still here and there interesting elements that made an interesting world. Too bad they were too few and far between. Before reading the book I didn't know it was an earlier work from the author, but I had already guessed that halfway through the story. On the bright side, I can imagine that the following books are going to get better. I enjoyed the first book in this series, and found the second a really amazing book and a substantial improvement over its predecessor. Because of this I had expected this one to be a bit of a disappointment, so I decided to let some time pass before tacking this last book, but it still felt like it ended on a minor note. Before writing down this post I decided to skim through the two previous books, just to freshen up my memories of it, and the feeling remained. For once, the prose was much more similar to that of the first than that of the second, which I found much better. I imagine it's because there was a different editor on the second, or it just had more work and rewriting done. Still, it does stick out pretty clearly in the three books. But the thing that felt a bit off for me was just how crowded with characters and their subplots this novels is; there are enough things going on to write two books, or at least a much longer one. All this said, I like the character of Sky and thought he had an interesting backstory, though I found the way it was resolved not as much. Things mostly happen to him, and the wrap-up was a bit saccharine for my tastes - even if, after everything that happened to Lucien, Georgia and Falco in the other two books, something less dramatic was. The political intrigue in Talia was a real page turner, and more than made up for the parts that didn't do much to involve me. I look forward to get through the second trilogy, to see where that goes, and re-read through the first three books back to back. Pur amando la fantascienza, devo confessare di non aver mai letto nulla di Asimov prima d'ora, e quello che sapevo di lui lo conosco principalmente per sentito dire, e sempre per sentito dire, ho pensato che questo fosse il libro migliore per cominciare a fare conoscenza col suo lavoro. Non saprei dire se è vero, avendo letto un solo libro finora, ma posso dire con certezza che è stata una lettura veramente interessante e divertente, purtroppo leggermente offuscata da un paio di dettagli. Di per sé, il libro è ottimo, una collezione di storie diverse in tono che mi hanno tenuta incollata alle pagine fino alla fine (l'ultima in particolare è la mia preferita), decisamente all'altezza della sua reputazione. Purtroppo ci sono un paio di problemi con l'edizione, uno minore e uno più grande, che non mi hanno permesso di immergermi completamente nella lettura. Il primo è dovuto all'età della traduzione italiana, che risale agli anni '60; la scelta delle parole e la prosa sono piuttosto farragginose in certi punti. Detto questo, in altri racconti con un'ambientazione e atmosfera più "pulp" e popolare questa prosa non stona, e rende la lettura più divertente in una certa maniera. Quindi, da questo punto di vista, la mia è una lamentela solo a metà. Il secondo problema, invece, è decisamente più serio: questa traduzione è basata su una versione del libro degli anni '50, prima che Asimov aggiungesse un racconto che facesse da cornice per la raccolta. A tutti gli effetti questa edizione è incompleta, e non rende l'idea della storia in generale. E personalmente trovo che un libro importante come questo non abbia una traduzione completa in catalogo sia ridicolo. Per questo motivo ho calato il voto un po', ma è solo per l'edizione, non il libro in sè. Nonostante tutto, è stata un'ottima prima impressione dell'opera di Asimov. Rileggerò il libro in inglese per vedere le differenze, e anche altri suoi racconti. 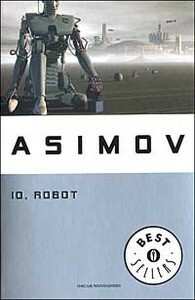 While loving science fiction, I have to admit I haven't read anything by Asimov before. All I know about him and his opus is through cultural osmosis, and it was because of what I had heard that I thought that this book was the best to start get acquainted with his work - having read only this so far I wouldn't be able to tell if it's true, but I can safely say that it was an interesting and fun read, sadly slightly tarnished by a couple of details. In and of itself the book is great, a collection of stories (the last one is my personal favorite) quite different in tone and themes that kept me reading until the end, and definitely lives up to its reputation. However, there are a couple of issues with the edition I read, a small and a bigger one, that kept me from fully enjoying the read. The first is due to the old Italian translation, which was made in the '60s - the choice of words and the writing can get very jumbled at points. That said, in stories with a more "pulpy" atmosphere it doesn't feel out of place, in a way, and even makes the read funnier. So, from this point of view, it's only half a complaint. The second issue, on the other hand, is more serious: this translation is based on the '50s version of this book, published before Asimov decided to add the story that works as a framing device. By all means, this version is incomplete, and personally I find the fact that there isn't a complete Italian translation of such a classic as this on sale in the country ridiculous, to say the least. For this I lowered the review points, but it's only because of this edition, not the book itself. 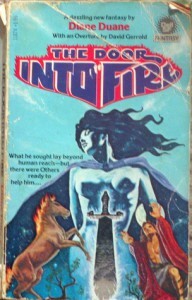 Despite all this, it was a great first impression of Asimov's work. I'll definitely read the book in English as well to compare the differences, not to mention more of his stories in general. When I started off these two books, what got me into giving them a try was the fact they were taking place in an alternate universe version of Italy, and the story centered around a conflict between two different religious cults. After going through them, I can say that I'm disappointed because of how much I liked them. Let me explain. The worldbuilding is really great, and it kept me glued to the books to the last page. Even now that I've finished both of them about ten days ago, I still go through both volumes and read snippets regarding it, wishing the was more of it. And that's my main problem: the story tries to be epic, and given the world and lore it could very well be, but events, characters, relationships and details aren't given enough room to develop. Which is a real pity, and in the end makes all the element that give depth to the story feel almost like a tease. It sort of feels like this saga was supposed to have other books told from the point of view of other characters, but eventually the project fell through. Again, a real pity. There are so many elements that could have made this a minor classic, but it needed more room to breathe. I hope that the author will pick up this series again and expand on it in the future, there's a lot that still needs to be told and it would be a very really interesting read. 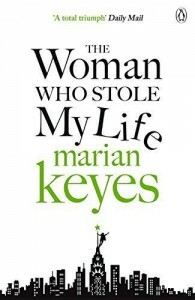 This is the second book from Marian Keyes I've read, the first being "This charming man". "The woman who stole my life" is a much more lighthearted read, and a really enjoyable one albeit with a couple of reservations. 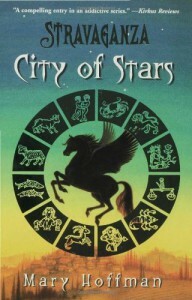 The plot is about how the main character, Stella Sweeny, after period in hospital due to a rare disease, gets relatively lucky after a book she accidentally authored gets in the hands of someone relatively important, and she and her family come to enjoy a year of relative success and luxury, and some actual huge changes in her life - all thanks to a man who spurred the very first of these changes. Compared to "This charming man", this is definitely more of a chick-lit book, but written much better than average. A lot of interesting twists and turns make this a real page turner, never boring and, except for a couple of obvious tropes that can be seen coming from miles but that have to be there given the genre, never predictable. That said, however, there are also a couple of moments where the main character doesn't seem to think things through - which, while understandable in a few occasions, given her situation, is also a bit irritating. Not that these don't have consequences, mind you. But I really enjoyed my time with this book, despite a few moments. And it was refreshing to see a story with women in their forties that, while having their subplots end with them being in a relationship with a different man than the one they had at the start, aren't the typical soured and embittered middle-aged women that just need the right person to make them kind again. 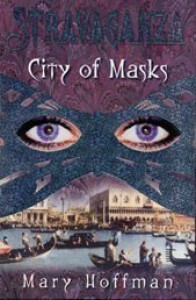 I did enjoy "City of masks" a lot, and was very curious to see how the whole political plot would have evolved, so as soon as I had finished it I ordered a copy of this, and when it arrived I started reading it immediately. I really liked this book, even more than the first one. The world building gets even more interesting and tight, and the plot gets much more complex, albeit in the subdued manner the first book carried out its plot. It's interesting to see more of the machinations and the way the Chimici clan works from the "inside" point of view of some of its members, and that alone is more than worth the price of admission. 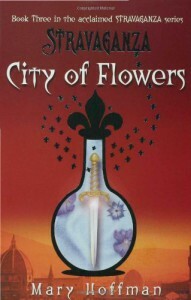 The descriptions of this book's version of Siena and its Palio are very well done, and paint an interesting and lively city, and I hope that one of the next books will take place in Remora again. The main character of this story, Georgia, is quite interesting, and her personal backstory of bullying at the hands of her step-brother Russell is, in my opinion, very well and realistically done. I've personally gone through it during my adolescence, and seeing it described in such a manner was a bit upsetting at moment, but also refreshing in how realistically it was depicted: in the story, like it often happens in real life, bullying happens and goes on because of the neglect or lack of reaction from parents or other similar figures of authority. Russell's dialogue and actions and the reason why their parents don't trust Georgia's words or try to jump in are written realistically, which might make them feel banal to some readers, but that's how this kind of dynamic works most of the time, sadly. Kudos to the author for having decided to go with this kind of description, instead of using a more 'interesting' way of describing this situation. The book was a page turner up until the very end, with a great prose (I found it vastly improved over the previous one) and a very interesting story keeping me glued to the book until the epilogue, where the cliffhanger scene that sets up the next book felt a bit forced just for the sake of creating that drama - and yes, it's believable that the characters themselves would act like that, but still. And in general, compared to the first book the author played a bit more safe with the character and what happens to them in the end, despite having one of the characters make a surprising and very risky choice. But given what happens in "City of masks" and how this is basically the middle act of the story, I can see why she would take a breather and make things a bit less dramatic. Really liked this book, I expected to enjoy it and it blew me away.